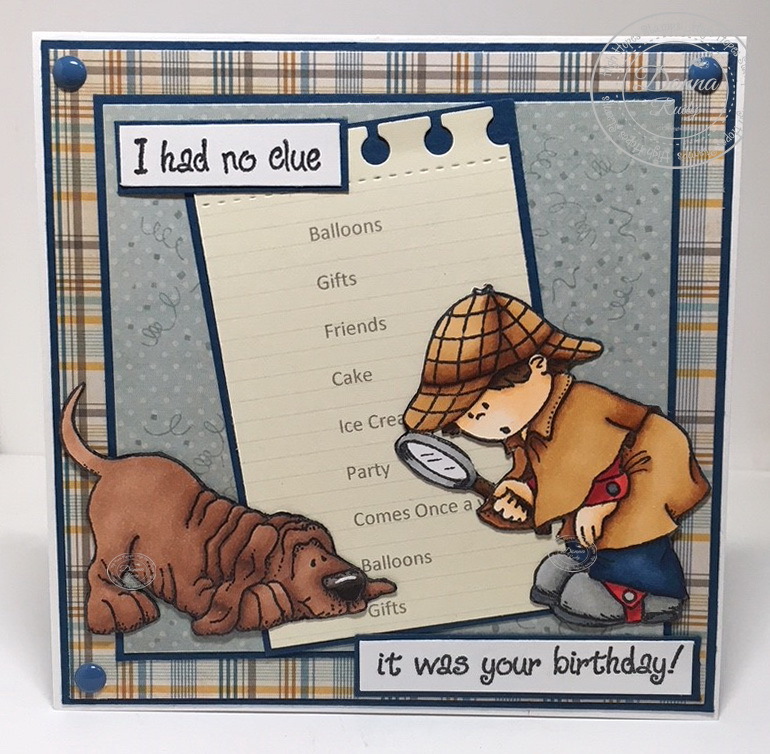 This week I am having some fun with Little Sleuth and Watson from High Hopes Rubber Stamps. I don't know why but these stamps both make me giggle. 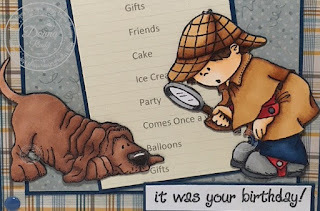 Today we find our friends looking at the list of clues to try to figure out what event they will be celebrating. Watson has his nose on the gifts....I think he thinks the gifts will be for him and contain treats! After colouring the stamps with alcohol markers, I hand fussy cut them and ran a black Memento marker around the edge to fix any white I had left. I had some fun on my computer coming up with a list of clues and then printed them on lined paper in a light grey. I wanted them to feel mysterious which is why I printed them in grey. I used a letter edge die to make the list look like it had been ripped off a pad of paper. After cutting my patterned paper to size I stamped some confetti on one - again in light grey and it adds to the clues. The sentiment comes as one sentiment in two lines but I masked off each line and stamped them separately. 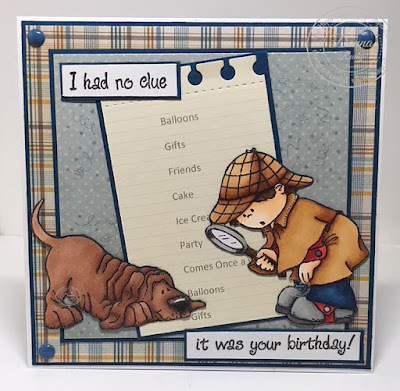 Some simple gumdrops finish off my card. I agree these guys make me giggle too! 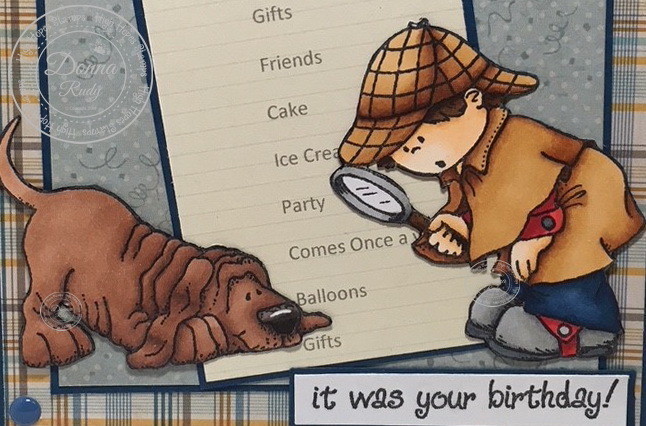 Another perfectly coloured card and layout! !